California, here they come! With one week to go before graduation, BFFs Alexa St. Laurent and Holly Jacobson take off on a whirlwind trip to the West Coast. The shopping, the beaches, the clubs, the boys . . . Glamour, glitz, sunshine, romance -- and more than a few surprises -- await! 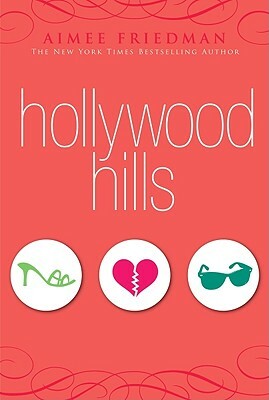 Aimee Friedman is the New York Times bestselling author of Sea Change, The Year My Sister Got Lucky, South Beach, French Kiss, Hollywood Hills, A Novel Idea, and Breaking Up. Born and raised in Queens, Aimee now lives in Manhattan.